Standoff is a top-down arena shooter set in an abandoned junkyard in the distant future. Four realtors are unable to settle their legal dispute over the unclaimed plot of land, and so they solve their differences by engaging in a battle to the death–a Standoff–on the land in question. Standoff features a variety of weapons, from the mighty magnum to the ridiculous RPG. 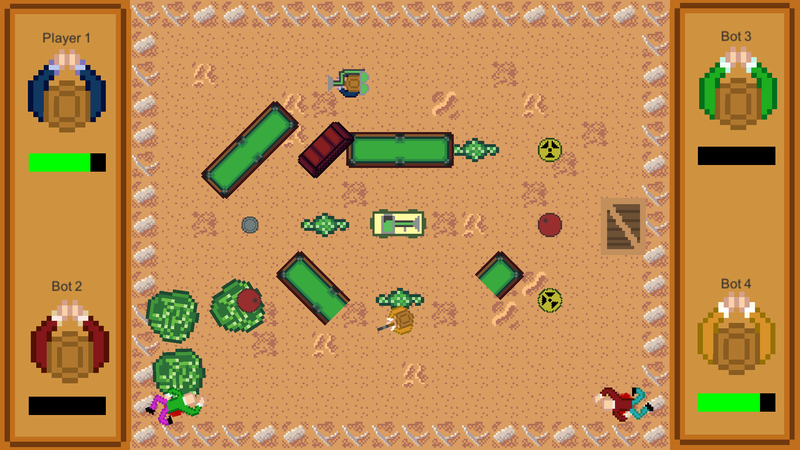 The arena is procedurally generated each time you play and includes various hazards with unique effects, so expect the unexpected. 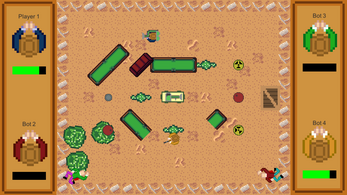 I helped create Standoff with colleagues from my University as a project for a Game Design class. Credits are also accessible from the game's title screen.